We are excited to announce that Dr. James E. Johns (Pastor Jim) will be joining us at SAPC as our Interim Pastor in October! Pastor Jim will serve as head of staff, preaching, teaching, caring, and leading us through the transition period as we search for our new installed minister. Jim was born and raised on a farm in Front Royal, VA. After high school, he earned an Associate Degree in Education from Shenandoah College. He then received a Bachelor of Science Degree from Madison College (now JMU) in Business Administration. Prior to attending seminary, he had careers in retail management, sales, and construction. In the summer of 1995, he began studies at Union Theological Seminary and the Presbyterian School of Christian Education in Richmond where he received his Master of Divinity Degree. In July 1998 he was ordained in the Coastal Carolina Presbytery where his first call was to Montpelier Presbyterian Church, in Wagram, North Carolina. In 2008 he began work on his Doctor of Ministry degree at Union Presbyterian Seminary and was awarded this degree in 2011. 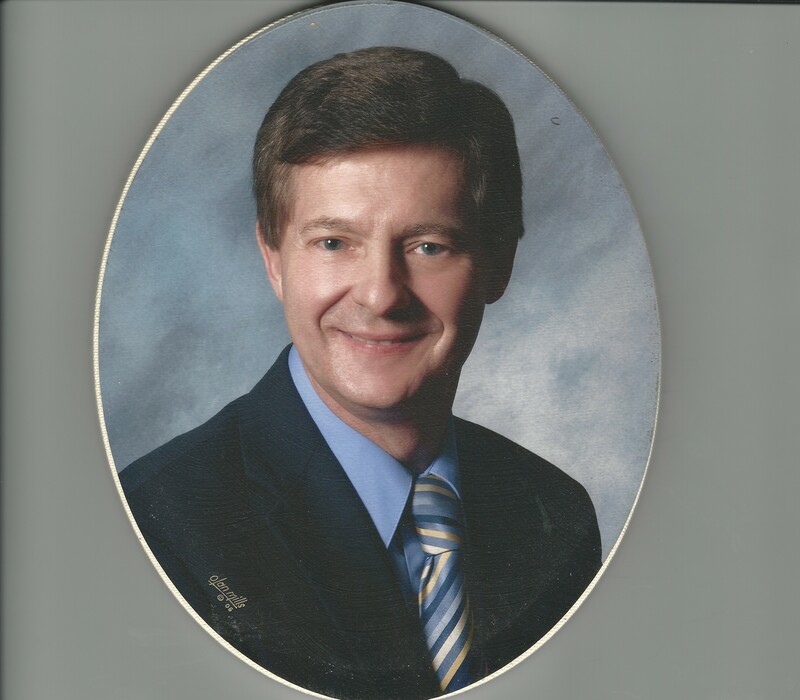 Jim served as the Solo Pastor at Indian Trail Presbyterian Church in Indian Trail, NC for 14 years. From January 2015-June 2016, he served as the Transitional Pastor at Carolina Beach Presbyterian Church. Most recently he has served as the Interim Pastor of Faith United Presbyterian Church in Farmers Branch, TX. Jim and his lovely wife, Terry, met in high school and they have been married for 37 years. They have two daughters, one son, and four grandchildren. When Jim’s service at Saint Andrew is completed, they plan to enjoy their retirement in Stevens City, VA.
Pastor Dave Roberts is a graduate of Whitworth University and Princeton Theological Seminary. He has previously served churches in Louisiana, North Carolina, and Scotland, before accepting the call to Saint Andrew in 2016. Dave is excited about helping all people, especially those in the earlier stages of their faith journey, grow as as disciples of Jesus Christ. He says that "church" is a body, not a building, and encourages us to connect more to God and one another. Pastor Dave is eager to help the people of God form those connections whenever and wherever possible. On his own time, Dave enjoys sci-fi films and literature, making music, playing video games, and any new adventures with his wife (Shonda) and daughter (Charlotte). He also loves playing softball and participating in local community theater. Our music leaders serve to provide worshipful traditional and contemporary music, two services, etc. The church office is open Monday-Friday, 9:00 a.m. through 1:00 p.m. These part-time staff members work hard to foster communication and keep the congregation running smoothly.